Participants on our challenges always return home pleasantly surprised by the quality of the food on their trek. Our Salkantay trek to Machu Picchu is no exception. As well as the exquisite, fresh food for your meals each day, the Salkantay trek allows you to indulge in some of Peru's specialities - including local potatoes, coffee and (for the more adventurous among you) guinea pig or llama! Here are some of my favourite food and drink items from my recent trek out in Peru. A local specialty, coca tea is, very simply, tea brewed with coca tea leaves. While it contains the same coca alkaloids found in cocaine, one cup won't get you high, but it is a strong stimulant and you'll find it's just what the doctor ordered when your guides wake you up each morning with a hot cup of coca tea. The coca plant and coca leaves also play an integral part in ritual offerings to Pachamama, or Mother Earth. 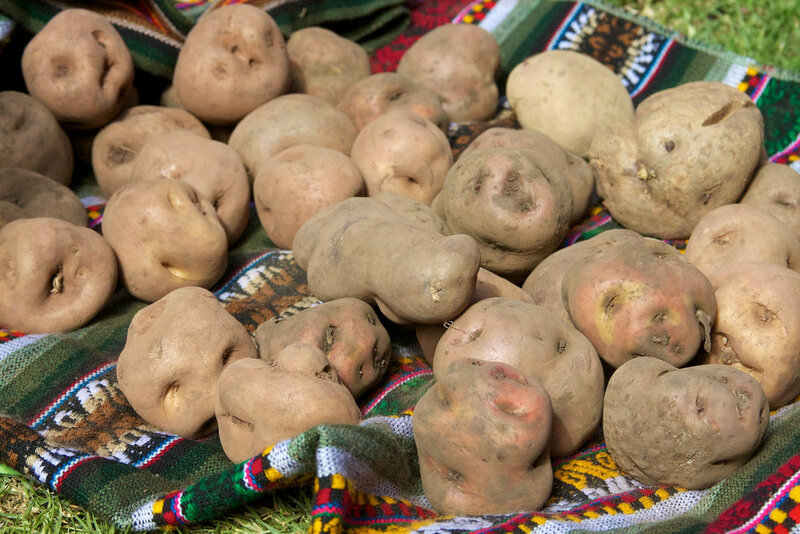 Ask any Peruvian person what their country's favourite local food is - and they'll probably mention potatoes! Peru is a very proud potato-growing nation, with an incredible 3,000 varieties of potato found in the Andes of Peru, Bolivia, Ecuador, Chile and Colombia. There's even an International Potato Center in Lima! Coffee is another staple in Peru, and it's easy to see why. In 2014, Peru was in the top 20 coffee producing countries in the world. What's great about our Salkantay trek is that at Lucmabamba camp, you'll get the opportunity to taste freshly ground coffee from a local producer, made from bean to cup right in front of your eyes! Whilst this may seem like a strange entry into this post, quinoa soup - like all the soups served during your trek - is a fantastic, nutritious food item found in Peru. In fact, quinoa is served in many different dishes in both Cusco and out on your trek, as a soup but also in dishes alongside chicken or green vegetables. Each day on your trek, your dinners will be served as three courses - usually a soup starter, followed by a high-energy main, and then fruit for dessert. We definitely recommend keeping an eye out for the quinoa soup when you're tired from a day's trekking!